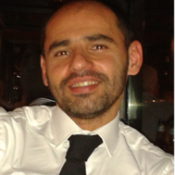 Renzo Luisi is Associate Professor of Organic Chemistry at the University of Bari “A. Moro” – Italy. After PhD studies and research experience in USA, in 2005, was appointed Associate Professor of Organic Chemistry at the University of Bari. In 2014 he received the national habilitation as full professor. The main research interests rely on synthetic chemistry and dynamic NMR spectroscopy. Since 2010 he started research activities in the field of sustainable chemistry and microreactor technology. In 2012 founded the FLAME-Lab, Flow chemistry laboratory at the University of Bari. He published more than 110 scientific publications in International journals, and he holds research projects with pharmaceutical companies.